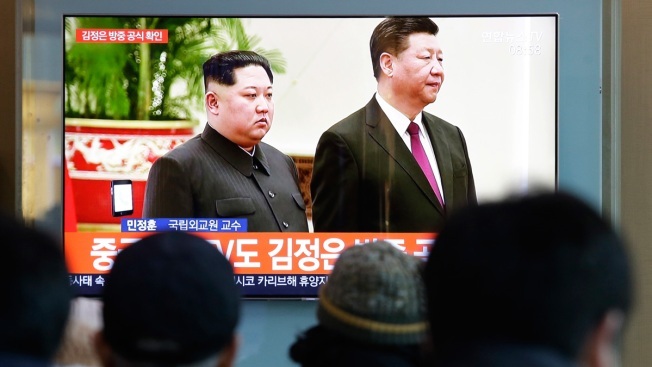 People watch a TV screen showing file footage of North Korean leader Kim Jong Un and Chinese President Xi Jinping, right, during a news program at the Seoul Railway Station in Seoul, South Korea, Tuesday, Jan. 8, 2019. Kim is making a four-day trip to China, the North's state media reported Tuesday, in what's likely an effort by Kim to coordinate with his only major ally ahead of a summit with U.S. President Donald Trump that could happen early this year. North Korean leader Kim Jong Un was expected to meet Tuesday with China's president at the start of a visit to Beijing believed to be an effort to coordinate with his only major ally ahead of a possible second summit with U.S. President Donald Trump. A long motorcade thought to be carrying Kim, including motorcycle outriders reserved for state leaders, left a Beijing train station shortly after the arrival of an armored train consisting of 20 to 25 cars — most of whose windows were blacked-out — along tracks lined by police and paramilitary troops. But even after what was seen as a blockbuster summit between Kim and Trump in Singapore last June — the first ever between the leaders of the war enemies — there's been little real progress in nuclear disarmament. A North Korean state TV documentary about the summit between President Donald Trump and North Korean leader Kim Jong Un shows Trump saluting a North Korean general after he tried to shake the officer’s hand. 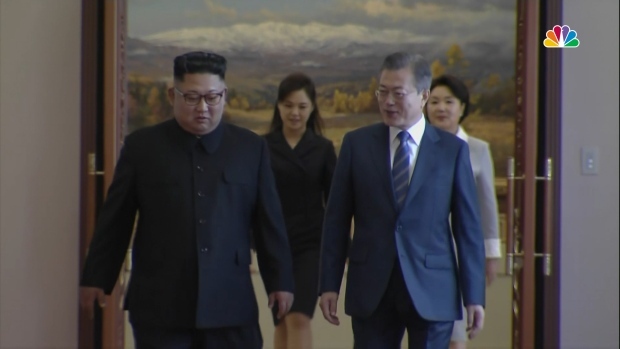 The state media has used the clip, which was not recorded by any other outlets, to demonstrate the success of Kim Jong Un’s negotiations at the summit. 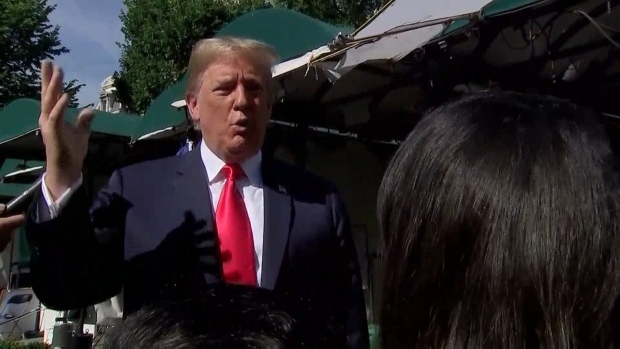 President Donald Trump explained to reporters why he has not been tougher on Kim Jon Un’s human rights violations in North Korea. “I don’t want to see a nuclear weapon destroy you and your family,” Trump said. 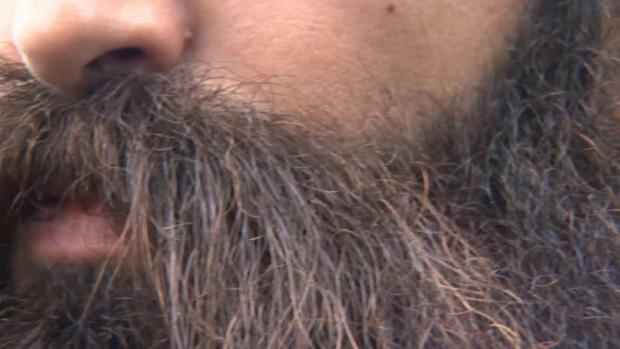 Associated Press writer Foster Klug and Hyung-jin Kim contributed to this story.